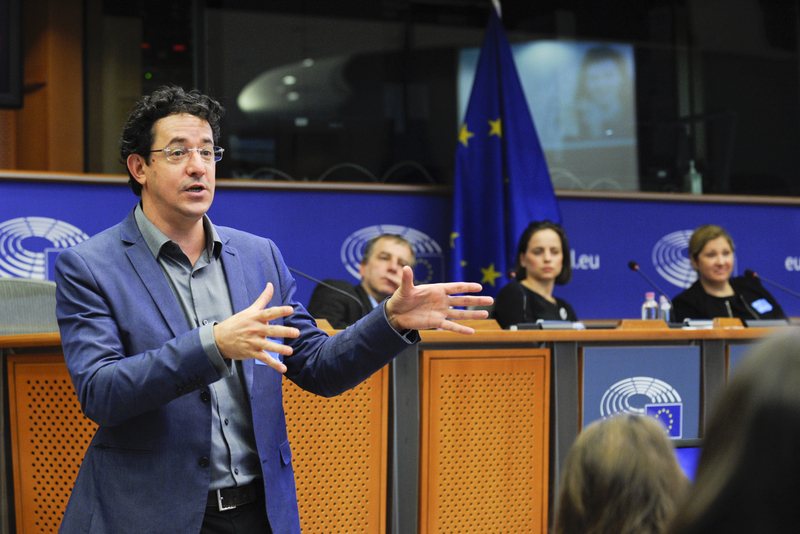 On October 17th, the fifth annual EUDojo event was held in the in the European Parliament in Brussels. 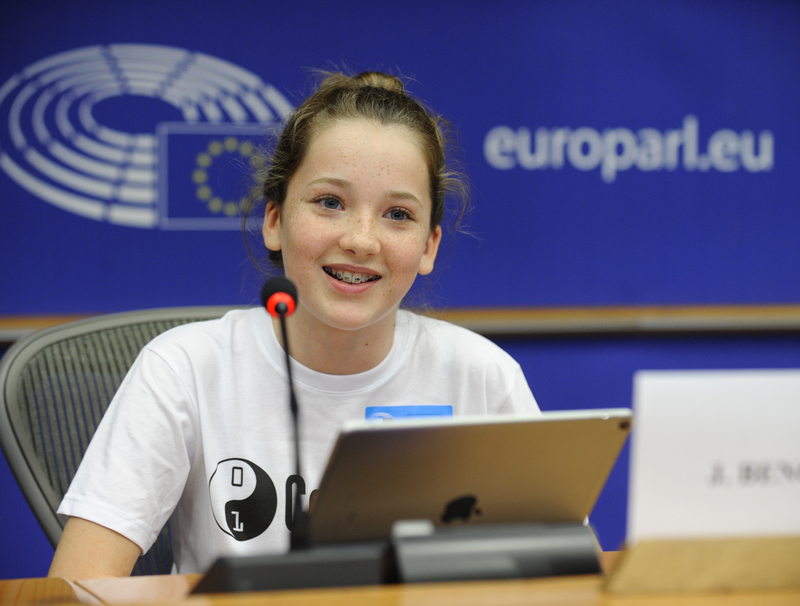 CoderDojo, who recently reached the milestone of having 1,500 coding clubs in 75 countries worldwide, hosted the event along with Ludick Niedmeyer MEP*. The event coincides with the fifth year of Europe Code Week. 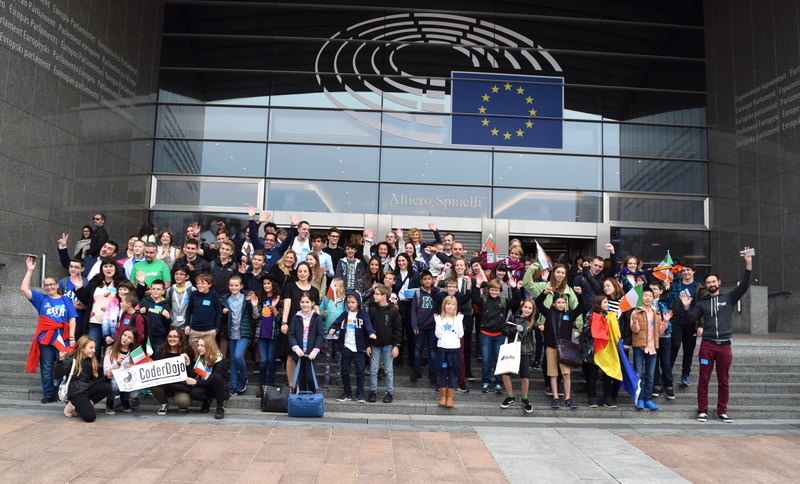 As part of EUDojo volunteers, and parents from across Europe were invited to participate along with 40 young coders who travelled from Belgium, Bulgaria, Italy, Ireland, France, the Netherlands, Poland, Romania, Slovakia, Spain and the United Kingdom to the EU Parliament to showcase their coding and technology skills. Here, the children taught MEPs how to write their first lines of code and showed MEPs and sponsors projects they have already created! -Giustina Mizzoni, Executive Director, CoderDojo Foundation. The event took place during Europe Code Week which runs this year from the 7th-22nd of October. During the coding session, the young coders taught MEPs how to create a basic game using the MIT developed visual coding language Scratch. The CoderDojo youths were also given the opportunity to showcase projects that they have made in their local Dojos. At last year’s event, 10 year old Aoibheann and her brother Padraig from Cloghans Hill CoderDojo in Ireland demonstrated their farm safety website they built themselves using code. This year Theodora and Anna from Romania, Yoan from Bulgaria and Ewa from Poland among others demonstrated their projects for attendees. Their projects included a platform to help interested volunteers find suitable volunteer opportunities, a DNA game and a spirograph designer that the user controls. Mariya Gabriel, the recently appointed Commissioner for Digital Economy and Society will be speaking at the event. Mariya, a Bulgarian national, has been a member of the European Parliament since 2009. She highlighted the importance of young people to be empowered to create with code and challenge technology changes to ensure all benefit. Kyriakos Koursaris, a Microsoft Innovative Educator Expert, highlighted how Minecraft Education edition is making coding education more accessible for schools and clubs. He also noted historical female role models in computer science and the importance of supporting girls just as much as boys to be tech creators. One way Microsoft has supported CoderDojo to encourage girls is through our CoderDojo Girls Initiative, including the development of our Empowering the Future guide, which Dojos can apply for here. At the event Roy Sharon of Liberty Global highlighted CoderDojo youths who have previously won Future Makers Awards, which celebrates digital solutions that answer society’s most pressing challenges. Some of the 10-17 years old who used their coding skills, learned at their local Dojo, to create a positive impact in society include Jeroen, Aoife, Giulio, Timothy and Amy. Jeroen who was inspired after attending EUDojo last year went on to create an app that helps refugees integrate and learn about their new host country, such as nearby services and how to say useful phrases in the host language. Roy highlighted the need to encourage and support young people to use their coding abilities to help others. Alex Cesar, Head of Risk Technology at Thomson Reuters, noted the importance of engaging girls in computer programming and highlighted how her daughter was reluctant to attend CoderDojo initially as she felt coding it didn’t appeal to her. 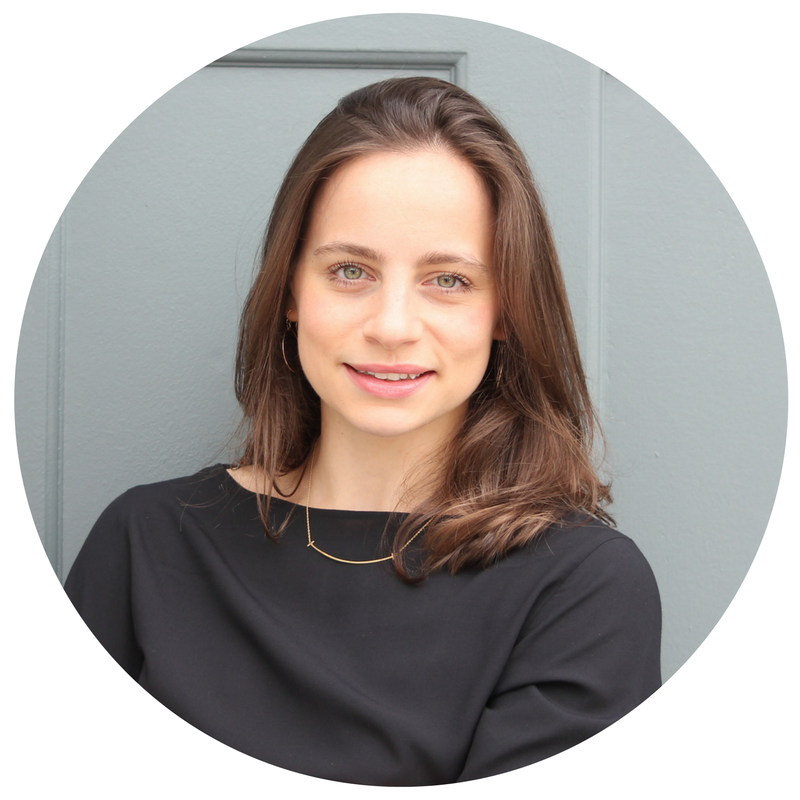 Since getting involved and attending her local Dojo in London she noted how she now loves the creativity and vast possibilities of things she can develop with technology now that she is developing these skills. Alexandra Darras of SAP highlighted how they are spreading out from Code Week with organisations such as CoderDojo as well as educational bodies to reach more young people and adults who otherwise would not have the opportunity to develop skills in coding or access the benefits of the the digital revolution. She noted their support of Africa Code Week, starting tomorrow and Refugee Code Week which also runs until October 22nd. 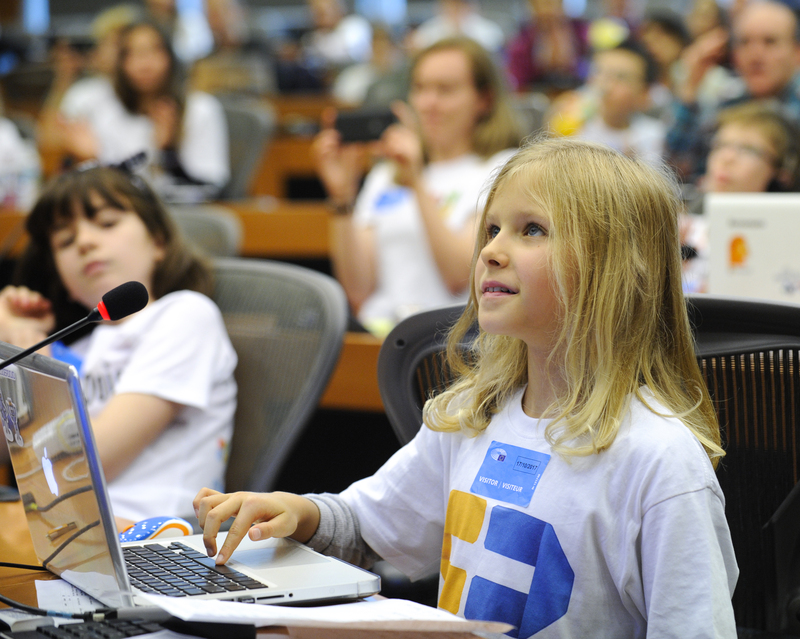 Several MEPs have since become CoderDojo Ambassadors in their respective countries, including Michel Boni (Poland), Antanas Guoga (Lithuania) and Eva Palanova (Bulgaria). 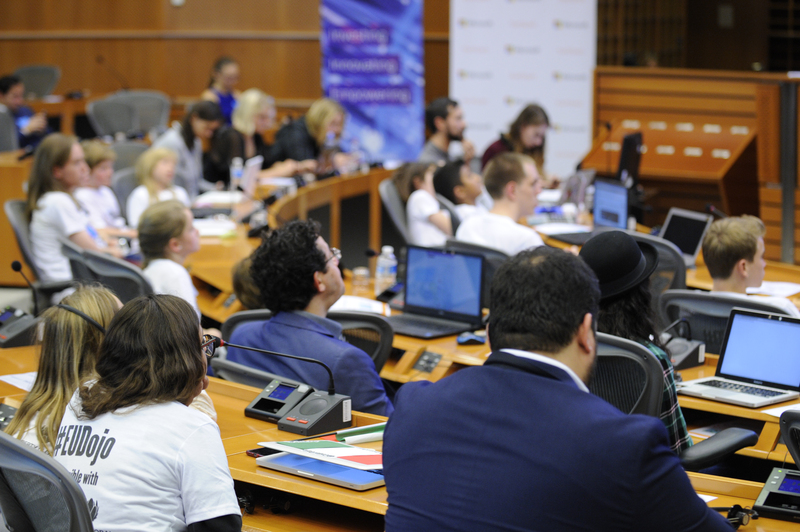 This years EUDojo event is hosted by Ludick Niedmeyer MEP and supported by Microsoft, Liberty Global, SAP and Thomson Reuters. *Sean Kelly who had planned to host the event was unable to travel from Ireland to Belgium due to travel disruptions as a result of hurricane Ophelia.